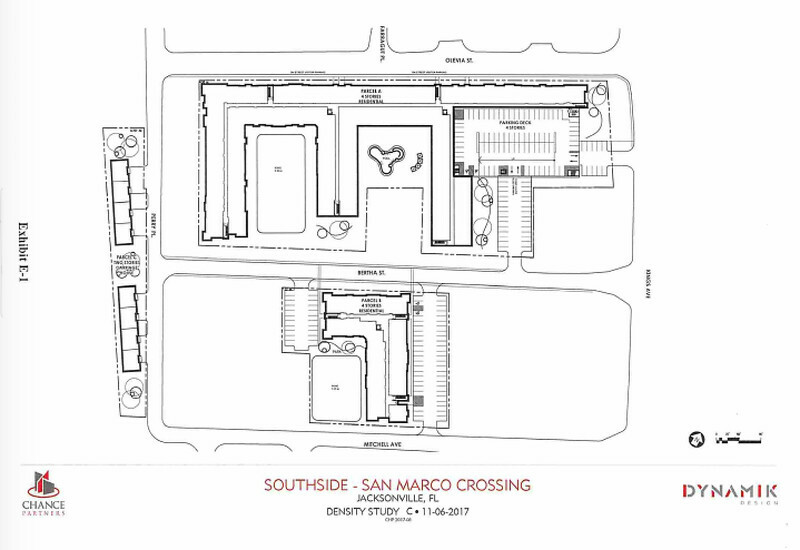 Multifamily Coming To North San Marco? 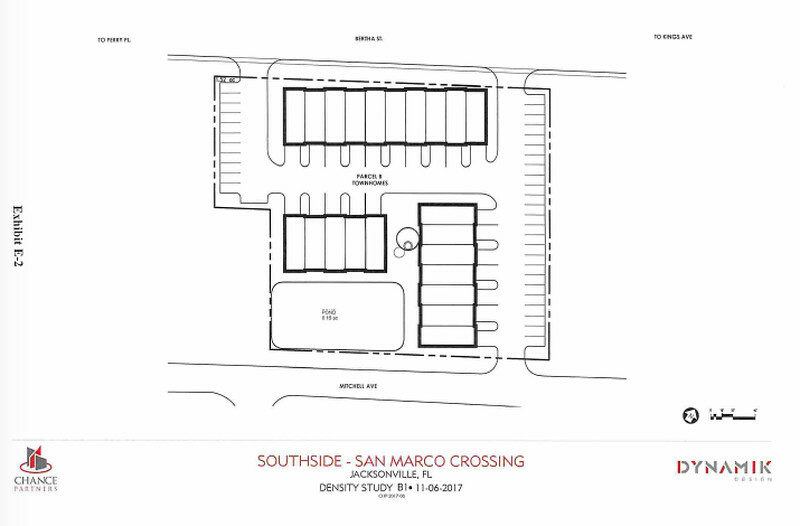 North San Marco has been predicted to become a hot spot for development due to the addition of interstate highway access from the impending completion of the I-95 Overland Bridge replacement. A new project is in the works that would bring residential density to the once-forgotten area. 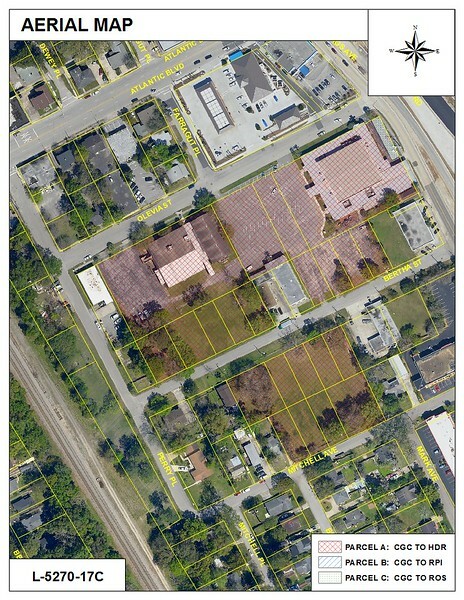 A comprehensive rezoning request has been sumitted that would pave the way to redevelop the Southside Assembly of God property near the corner of Atlantic Blvd and Kings Ave into a mixed use complex featuring apartments, carriage homes, townhouses and retail uses. 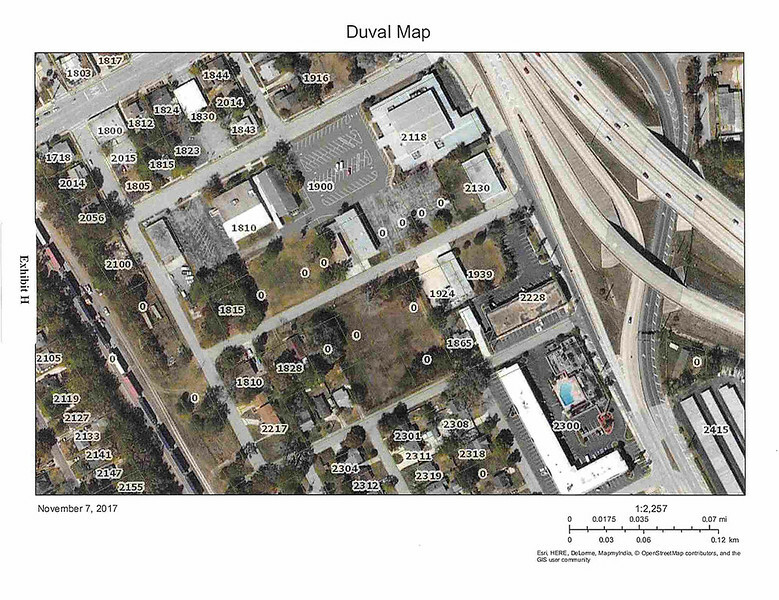 Chance Properties of Atlanta seeks to purchase several parcels spanning nearly 7 acres, tear down the existing structures and develop a project preliminarily called San Marco Crossing. The Southside Assembly of God properties are bounded by Olevia Street and Mitchell Avenue to the north and south, and Kings Ave and the Florida East Coast Railroad line (affectionately referred to as the ‘San Marco train’ by locals) to the east and west. A portion of the properties are now used by the church while other portions of the property assemblage are vacant land. As described in the site plan below, Parcel A will include the construction of apartments and recreation/open spaces, Parcel B will include apartments, townhomes and/or single family dwellings that could include live/work units and Parcel C will include townhomes. The proposed project will also include a mix of surface parking, bicycle parking facilities, an enclosed parking garage and the potential for attached garages connected to townhomes and/or carriage homes. Although the actual project may (and likely will) include a less intense residential density depending on rezoning approvals and economic considerations, the rezoning proposal seeks to permit up to 331 residential units (no more than 99 single family homes) to be constructed across all sites. Additionally, over 1 acre of the combined site would be developed as recreational space such as playgrounds, pool, cabana/clubhouse, health/exercise facility and pedestrian walkways.